Amid new details complicating Russia's involvement in the 2016 U.S. presidential election, President Donald Trump said on Wednesday that he got along "very, very well" with Russian President Vladimir Putin during their meeting at the G-20 summit last week. "I think we get along very, very well. We are a tremendously powerful nuclear power, and so are they. It doesn't make sense not to have some kind of a relationship," Trump said in an interview with the Christian Broadcasting Network. "I think we had an excellent meeting," Trump said. The president also said the pair talked for over two hours and acknowledged that some were confounded over the amount of time he spent with the former KGB officer. "Everyone was surprised by the amount of time but that was a good thing and not a bad thing," Trump said. 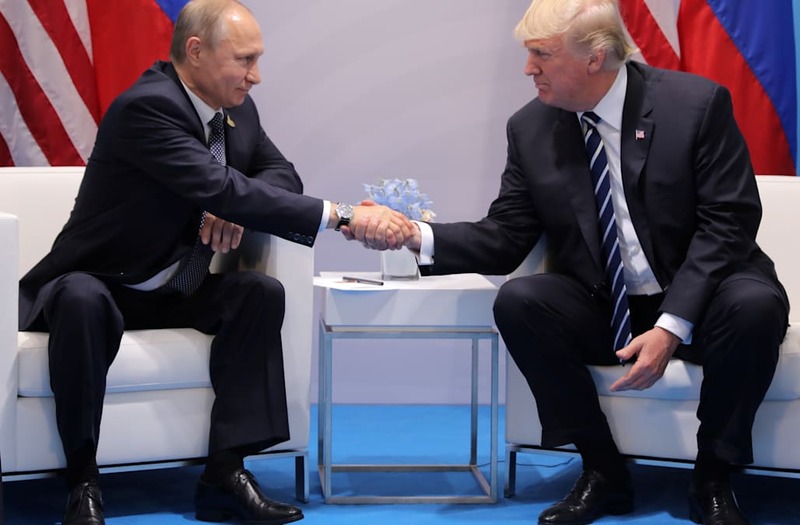 President Trump also refuted claims that he wanted help from Russia during the 2016 presidential election, alleging that Putin would have preferred his opponent, former Secretary of State Hillary Clinton, to have won the White House instead of him. "As an example, if Hillary had won, our military would be decimated. Our energy would be much more expensive. That's what Putin doesn't like about me. And that's why I say, why would he want me?" Trump said. "So what I keep hearing about that he would have rather had Trump, I think 'probably not.'" Trump's latest comments on Putin come a day after Donald Trump Jr. tweeted out emails from June 2016 setting up a meeting with a Russian connected lawyer after being told he would be provided "information that would incriminate" Clinton during last year's presidential campaign. Trump Jr. on Tuesday night admitted while speaking to Sean Hannity on FOX News, "'In retrospect, I probably would have done things a little differently." "I don't think my sirens went [off] or my antenna went up at this time because it wasn't the issue that it's been made out to be over the last nine months, ten months," the son of the president added.